Disasters never strike at a time where a home or business owner can adequately prepare, so those throughout The Farmington Valley have been relying on the fast 24/7 response of our SERVPRO team for over 40 years. 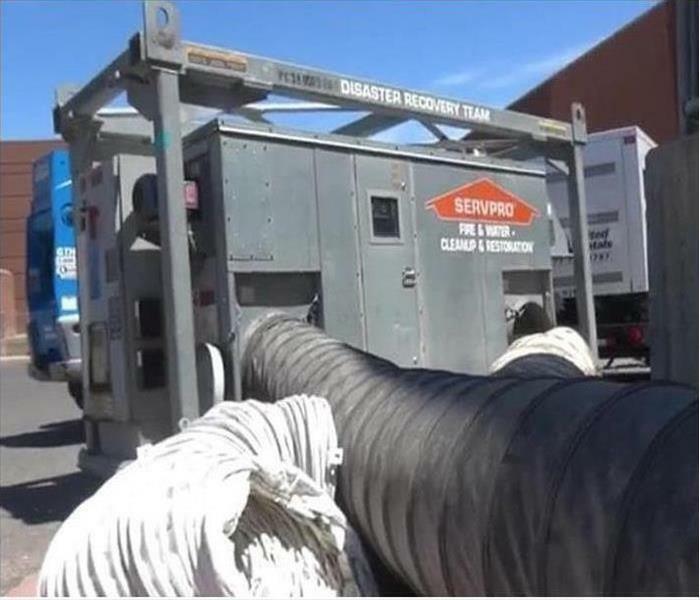 We not only have a full team of qualified professionals trained in all facets of the restoration industry to provide a comprehensive approach to recovery, but we also have a vast inventory of mitigation and restoration equipment to help the process to be more efficient. From Simsbury to Collinsville, effects from water, fire, mold, storms, flooding, biohazards, and structural compromise have threatened homes and businesses. Our IICRC-Certified professionals have an immediate response to these threats with industry-leading equipment and technology to save you time and money on the restoration work to follow. We know the importance of getting there quickly when your property is at risk, that is why We’re Faster To Any Size Disaster. SERVPRO of The Farmington Valley is locally owned and operated, so we’re already close by and ready to respond immediately when you need us. We’re also part of a national network of over 1,700 Franchises, which gives us access to more resources for larger cleaning or restoration projects or major storm scenarios.